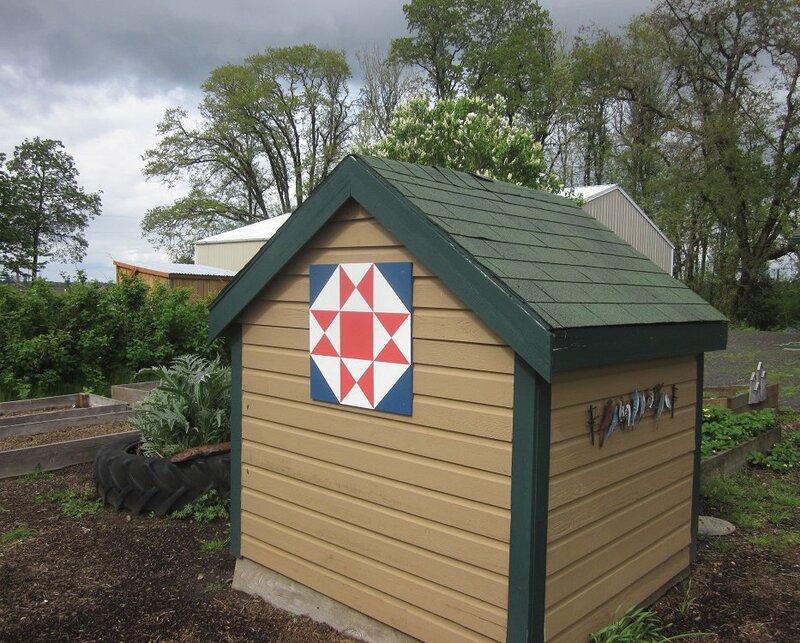 Barn quilts are sweeping the country in popularity, adorning not just barns but also garden sheds, garages and fences. Used in early America as good luck symbols, they have evolved into enlarged and colorful single quilt blocks; sometimes entire quilts. Since the 1980s they have typically been painted on wood and permanently attached to barns using traditional colors. More recently they are created with more contemporary colors and designs. Join Sheila for a lively 4 hour class that takes you through barn quilt painting from start to finish. You’ll choose a quilt pattern from more than three dozen offered, or bring a favorite pattern (Sheila will evaluate the difficulty). You will leave with your finished masterpiece, ready for hanging. Kit fee $55, payable to Sheila in class. Kit includes 2' x 2' pre-primed MDO board (waterproof for exterior application), 50+ high quality exterior paint colors to choose from, Frog brand masking tape, sample patterns, foam brushes, rulers, stainless steel screws. Extension cords provided. Supply list: Please bring a paint apron and hair dryer.